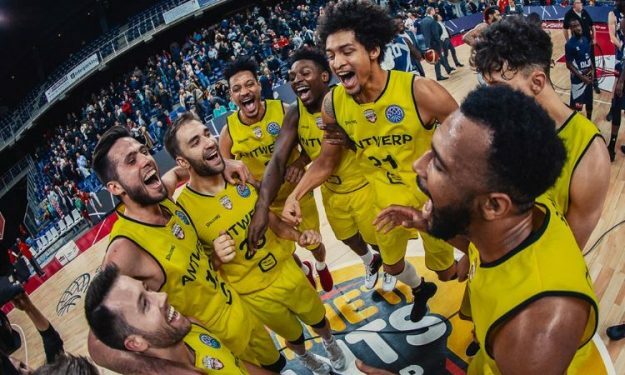 Antwerp features the youngest squad ever seen in the Basketball Champions League and they have already made it into the history books. 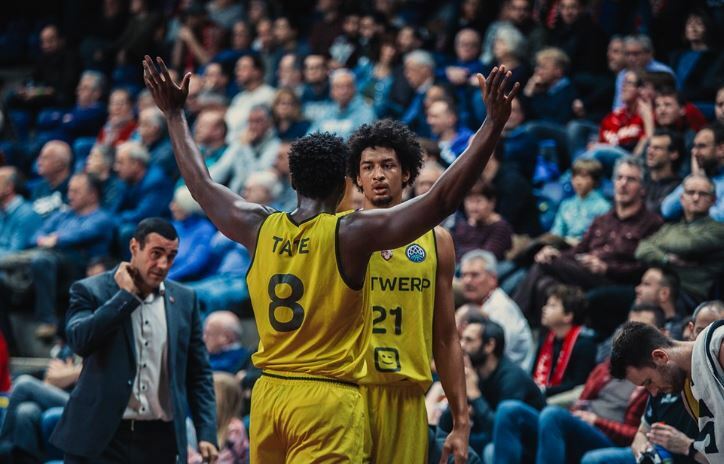 Telenet Giants Antwerp prevailed over Dijon on Gameday 13 reaching the 7-6 record in Group C and securing the fourth spot which leads to the Round of 16. In doing so, they’ve become the first Belgian team ever to qualify for the Basketball Champions League playoffs. And not only that. At the average age of 22, it makes them the youngest squad to do so as well. Not to mention that this has been their first time in the group stage of the competition. Their BCL journey began in the 2017-18 campaign but faced an obstacle. They won five games in the qualifiers but lost the last one against Rosa Random staying out of the regular season. However, Antwerp came back this year, younger and stronger pulling through qualifiers and into the group stage. They started off the season with a tough overtime road win vs. Lietkabelis but then lost in Spain to Fuenlabrada. Their next game was the one that ‘put them on the map’. It was the clash against a clear favorite and a title-contender, with Hapoel Jerusalem. 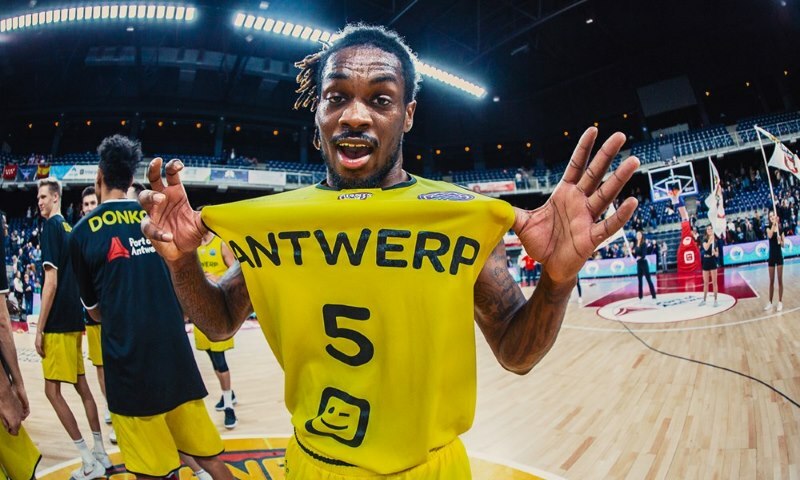 It was Antwerp’s first home game and they prepared a present for the crowd as former Ohio State player Jae’Saen Tate led them to victory. Tate has been averaging 12 points and 5.2 rebounds during the regular season and has been leading the Belgian squad along with Paris Lee who averages 12.6 points and 5.8 assists. Both are 23 years old playing their first pro season while a bit more experienced Ismael Bako (more experienced but also a 23-year-old) follows with 11.6 points and 7.1 boards per game. They’ve all had some strong performances but Lee topped them all on Gameday 9 against Fuenlabrada. He played the best game of his career nailing 27 points while shooting 7/9 from deep and adding ten assists on his way to the index rating of 35 as well as Team of the Week and MVP honors. Antwerp showed great potential but also lacks some consistency in their results, although, that is to be expected from such a young squad. Nonetheless, the youngsters have not only advanced to BCL playoffs but are also high on the Belgian League standings and have reached the Belgian Cup Finals where they will clash against another BCL team in Oostende which is, by the way, still fighting for a playoff spot in BCL Group D.
Of course, a big part of the credit goes to the coach, Roel Moors. The 40-year-old Belgian has played last six years (2009-15) of his playing career in the club he now coaches and Moors’ number 4 jersey is the only one retired in the Giants’ history. He can offer players advice from both points of view and that is perhaps the secret to this squads’ chemistry and results.